View basket “Knife Care Set” has been added to your basket. 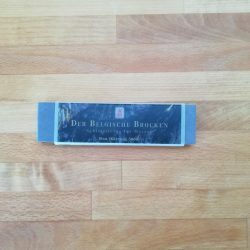 The Ellenlang has a well-balanced cherry wood handle, warm to the touch, with a soft, brown colour and very clear grain. The handle is ground before being finely polished or oiled. No chemical sealants are used on any Windmühle knives, which ensures that they retain their natural beauty as they age. The exceptional properties of the Ellenlang lie in the superb cutting quality of its polished edge blade with fine-ground ‘teeth’. Very defined, 6mm wide, scallops are ground into the blade by hand and Windmühle’s ‘blue-glazed’ grinding technique is used to create an extremely long-lasting cutting edge. 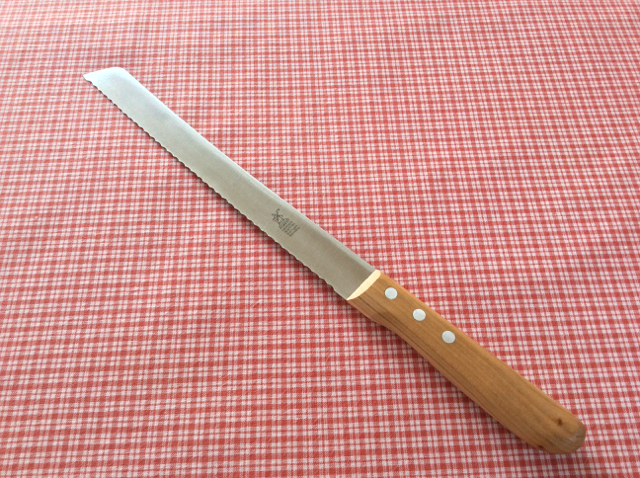 Tested in professional restaurants and hotel kitchens in Germany, the Ellenlang was found to hold its cutting ability at least four times as long as other bread knives. The elegant shape of the slightly cranked blade is reminiscent of the 1920s. The handle is secured with aluminium rivets to the blade’s long shaft. (A sure sign of a well-crafted knife is how far the metal blade extends into the handle.) The result is a long, sharp and light weight bread knife that is easy to use and comfortable to hold. 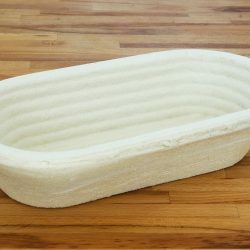 It makes cutting even a generous sourdough loaf with a crisp crust and chewy crumb a pleasure. 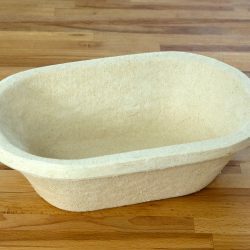 Used with sawing action and very little downward pressure, it will not drag and tear the bread and will produce a clean cut with hardly any crumbs. Small burrs may form in the individual teeth during use. These are completely normal in a scalloped blade and do not impair its high cutting ability. The stainless steel blade is 255mm long and the overall knife length is 395mm. 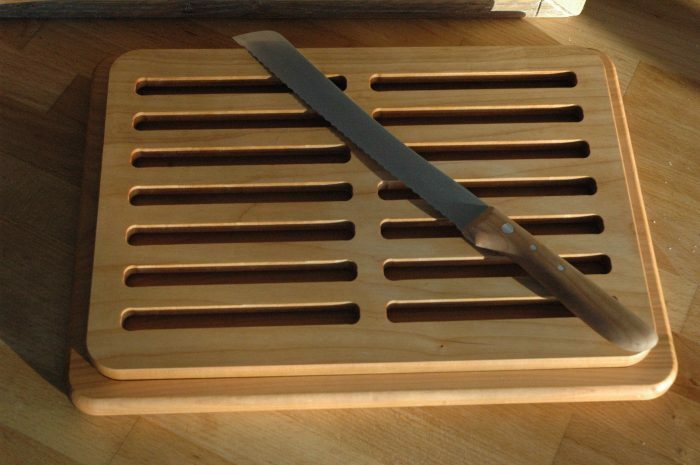 The Ellenlang can be purchased with the cherry wood bread board and grid at the special price of £147.45.